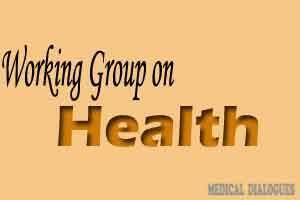 New Delhi: Health Ministry in collaboration with the Indian Medical Association (IMA) will form a first of its kind working group to evaluate and address the major healthcare problems in the country. This was announced by Health Minister J P Nadda, who also sought help of IMA members to fight the major health battles being faced by the Indian population, during his address at IMA’s annual Central Council meeting the NATCON 2015, an IMA statement said. “Never in the history of the IMA has a joint committee of this nature been formed between the IMA and Government of India. We are extremely hopeful that together we will be able to find effective solutions to major healthcare issues being faced in our country. “Some of these include the high prevalence of water and food-borne diseases, increase in percentage of women smokers, epidemics nature of diseases such as dengue and swine flu as well as the incidence of lifestyle diseases in people as early as in their late twenties and thirties,” the statement said. “This will be a great boon for the Indian consumer at large for now medical devices will become more affordable and accessible even to the lower strata of the society. We believe that access to healthcare is a basic fundamental right of each and every Indian citizen under article 21 of the Indian constitution and no person must die of disease just because they cannot afford treatment,” Dr KK Aggarwal, Secretary General of IMA, said.